Kindly, they sign my leather journal and tell me all about it. 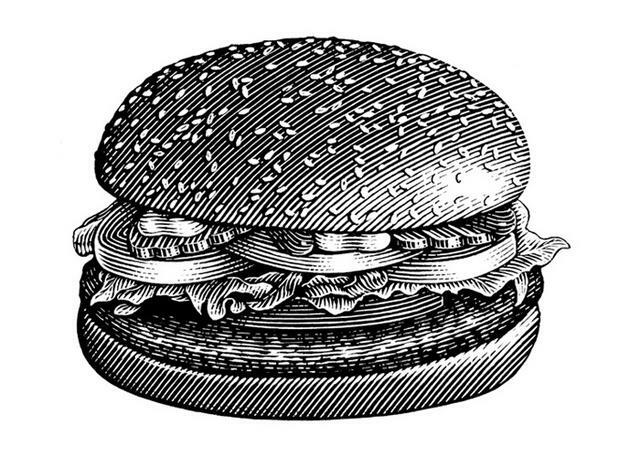 Some writers give every detail—type of bread, condiments, sliced into squares or triangles—others simply one word. 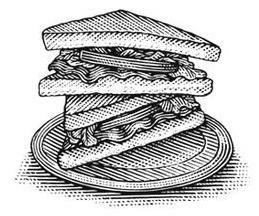 Others fill the page of my journal with nostalgia or the sandwich that has always eluded them. The detailed entries are made as stated, where as vague responses allow for more creative freedom on my part. And for specific restaurants or bodegas or delicatessens, well, I drive or refill my MetroCard or pump up the tires on my bike and track it down. Whatever the approach...a sandwich is made or purchased and eaten, fortunately, by me. 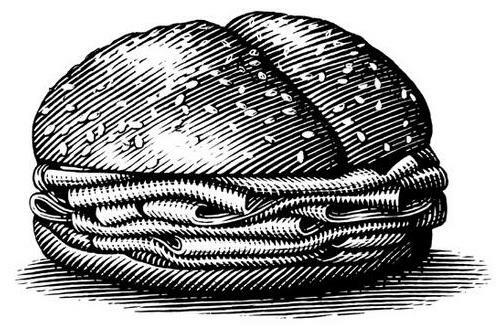 It all began as a joke of sorts, a conversation starter with writers from my graduate school days at Hunter College, but What’s your favorite sandwich? led to a profound insight, a discovery that this was something much bigger. I found that each sandwich is as unique as the writer that eats it, that their sandwich choice is a new lens through which to view the writers we admire. More than just two slices of bread with something in between; it's a commentary on culture, background, status, experience and, of course, taste. We often forget in that moment of awe when finishing a book that there’s a person on the other side of those beautiful pages. The writers we love and respect are genius, but they too are flesh and blood, with grumbling stomachs like you and me. And so we cut the crust; talk about their books by talking about sandwiches. — Gabe Hudson (via Twitter) in response to the "Gork Banh Mi"
Do you have questions? Need details on a recipe? Need a recommendation? Want to help me turn this project into a coffee table book?! Please and thank you. Send me a message and let's chat. I look forward to hearing from you.